What is it within ourselves that makes us mock and belittle the weakest among us? That was the question Pope Francis posed during his homily at the morning Mass on Monday in the Casa Santa Marta. 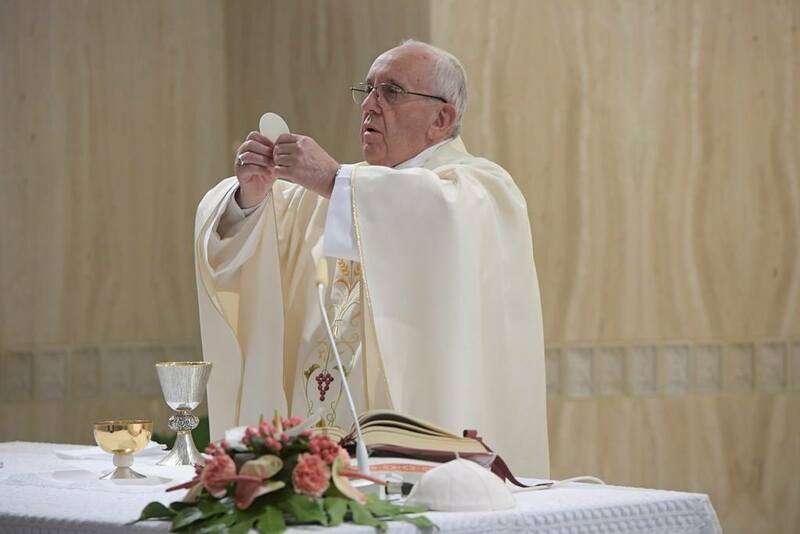 Pope Francis at Monday morning’s Mass reflected on the many Biblical stories that tell of a powerful person humiliating someone weaker and more vulnerable. The devil is behind this type of attitude, the Pope said, because there is no compassion in him. The Holy Father took his cue from the First Reading, taken from the First Book of Samuel, about Samuel’s parents, Elkanah and Hannah. His father, Elkanah, had two wives: Hannah, who was barren, and Peninnah, who had borne him several children. Instead of consoling Hannah, Peninnah scorned and humiliated her on account of her infertility. Pope Francis said other Biblical stories also tell of scorn towards the weak, as does the story of Abraham’s wives, Hagar and Sarah. He said the same attitude of scorn and contempt occurs between men. Goliath, he said, ridiculed David. Both Job's and Tobias’ wives belittled their suffering husbands. Pope Francis noted that even among children this happens. The Holy Father said that when he was young, there was a woman with a mental illness, Angelina, who lived in his neighborhood. She would walk the streets all day, and people would give her food to eat and clothes. Local children, however, would make fun of her. They would say: “Let’s find Angelina and have some fun”. Pope Francis said that psychologists would probably give another explanation of this desire to destroy another because they are weak, but, he said, “I believe it is a consequence of Original Sin. This is the work of Satan.” Satan, he said, has no compassion.